Is your North Bay home or business’ electrical panel in need of an upgrade or replacement? The electrical panel is what manages the power distribution in your home. Electricity flows into it from the power company and to the various locations in your home. When you plug in a device or appliance, the electrical panel distributes the appropriate amount of power. However, with an outdated panel the power output may not be enough for newer appliances and devices. You begin to run into problems when your panel cannot supply the necessary power for everything you have plugged in inside your home. Appliances may shut off, lights may flicker, and breakers may trip, leaving you annoyed and in a possibly dangerous situation. So how do you know if you need to upgrade an electrical panel? The first sign may be one of the issues mentioned above. However, even if you aren’t experiencing these issues and your panel is 30+ years old, you’ll want to have it checked out by a professional. You’ll also want to call a professional if all you have is a fuse box. 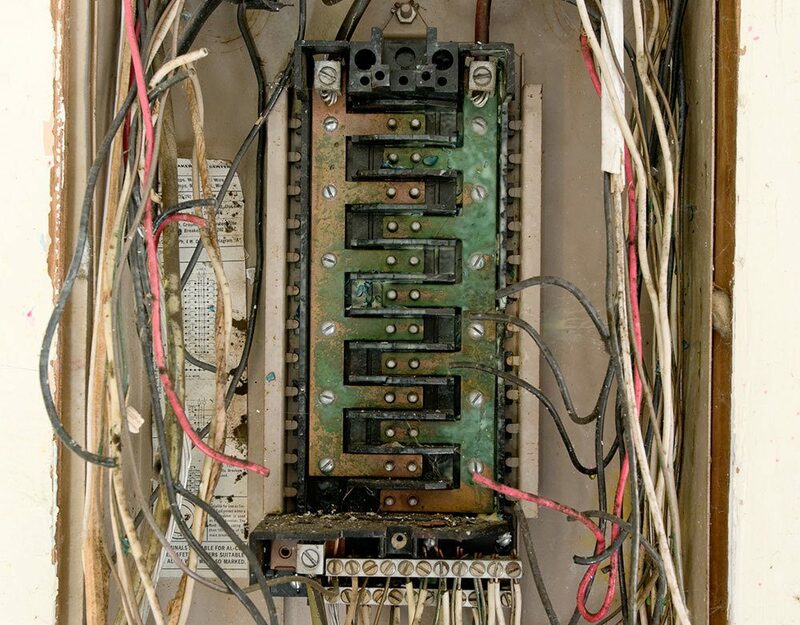 Old panels and fuse boxes simply aren’t designed to handle the electrical loads of today’s devices and appliances. Overloading your old panel or fuse box can potentially be very dangerous as well, leading to electrical shock or even fire. Older panels attempting to run new appliances and devices (especially if you’ve just renovated an area of your home) can be serious safety hazards. Old panels in such situations can easily overheat—if you’ve noticed overheating, call an electrician immediately. Older panels located in non-ideal locations may also be exposed to the elements, possibly resulting in rust and degradation of electrical connections. This can be just as dangerous as an overloaded panel and a qualified professional should examine the panel to determine replacement and/or relocation. Electricity is something that each and every one of us utilizes every day. What many of us don’t recognize is that we’re also depending upon the electrical panel that serves that electricity. Don’t take any chances on such a crucial part of your home—stay safe and get your old electrical panel replaced immediately! If you’re looking for a qualified electrical contractor in the North Bay, Schafer Electric Services, Inc can help. We know the ins and outs of electrical systems for both homes and businesses. We’ve served the residents and business owners of Sonoma, Napa, Marin, Lake, and Mendocino Counties for years. We can help you determine if your electrical panel is safe and whether it needs an upgrade or relocation. Don’t take your safety for granted—contact Schafer Electric Services, Inc today!